The Johor government will identify suitable and best ways to solve the problem of unsold high-cost housing units in the state. Menteri Besar Khaled Nordin said the methods sought should suit the policy introduced before this. To solve the problem, he said, the state government would be collaborating with all the relevant parties including developers. "Tuanku (Johor's sultan) had touched on this, so perhaps there is the need to look into a suitable policy to avoid frequent changes of policy. "We will consider and see, but the matters raised by Bank Negara will also be looked into by the state government towards solving the problem,” he told reporters after opening the Pasir Gudang Health Camp today. 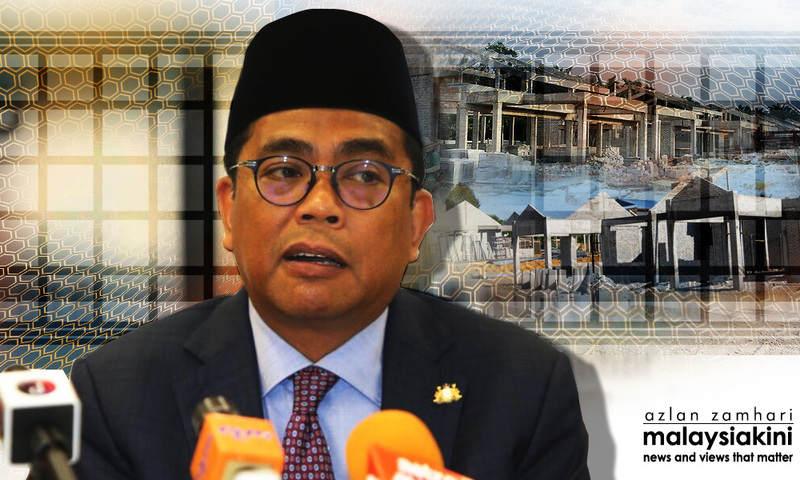 Mohamed Khaled was asked to comment on Sultan Ibrahim Sultan Iskandar's call on the state government and developers yesterday to find solutions to the problem of increasingly high prices of houses that were unsold. The menteri besar also touched on the recently published Bank Negara quarterly bulletin which mentioned Johor as having the highest number of unsold houses at 27 percent, followed by Selangor (21 percent), Kuala Lumpur (14 percent) and Penang (eight percent). Bank Negara also reported that Malaysia’s property market was currently facing the problem of imbalance between supply and demand to the extent of resulting in many unsold houses and unoccupied commercial spaces. On the Pasir Gudang Health Camp, Mohamed Khaled said it was held in line with the government’s aim to improve the people’s well-being. The health camp, based on the mobile hospital concept, offered free health services including dental, eye, blood pressure and cholesterol checks for members of the public to know their health status, as well as advice from doctors and pharmacists. Held at Aeon Mall, Permas Jaya, it was organised in collaboration with Pasir Gudang Barisan Nasional, Malaysia Medical Association Johor Branch, Yayasan Johor and the Johor Bahru Rotary Club.